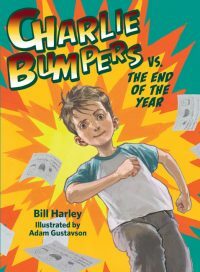 Charlie Bumpers vs. the Perfect Little Turkey – Peachtree Publishing Company Inc.
Can Charlie be a polite host to the most annoying little cousin in the universe? It’s Thanksgiving in the Bumpers’ household and Charlie has to be the perfect host to his annoying little cousin, Chip. Chip makes everything hard for Charlie―gets him in trouble, ruins his things, and generally makes a nuisance of himself. On top of that, for homework, Mrs. Burke has assigned Charlie the task of writing what a family is to him. How will Charlie be able to see past his “turkey” of a cousin to understand the real meaning of family? 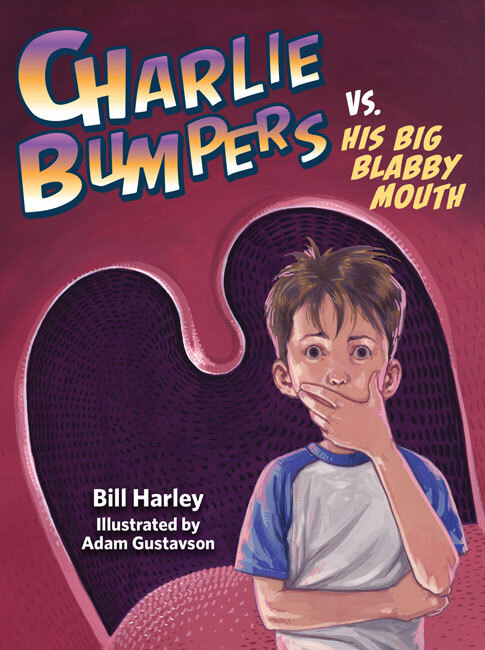 Grammy Award-winning author Bill Harley continues his fun series for young readers using humor to get across some important values such as learning to live together as a family and making the best of a bad situation. For more on this series, visit the Charlie Bumpers website here. Bill Harley is a two-time Grammy Award-winning storyteller, musician, and writer who has been writing and performing for kids and families for more than twenty-five years. He is the recipient of Parents’ Choice and ALA awards. He won a 2007 Grammy Award for his children’s storytelling album Blah Blah Blah and a 2009 Grammy Award for his children’s spoken-word album Yes to Running! Bill Harley Live. He lives in Massachusetts. You can visit his website here. Adam Gustavson is the illustrator of more than twenty books for children, as well as numerous periodicals. He holds a master of fine arts degree from the School of Visual Arts in New York, and teaches at the University of the Arts in Philadelphia. He lives in New Jersey. You can visit his website here.